According to Nielsen Fast National Data, “Today” drew 5.497 million viewers while “Good Morning America” had 5.141 million on Tuesday. 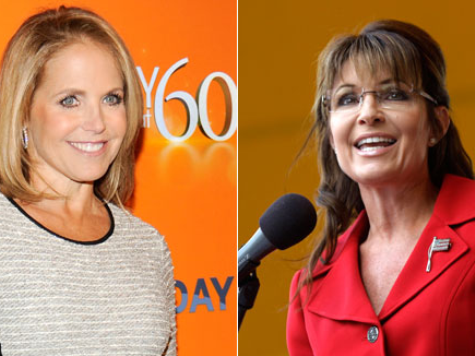 With Palin co-hosting on Tuesday, “Today” bested “GMA” by 356,000 viewers. That margin was greater, by 8 percent, than the 333,000 viewer advantage “Today” had on Monday, when Palin was not on the show. Palin’s victory proves not only her mega-wattage star power but also shows that conservatives like her can appeal to mainstream audiences. In addition, Palin’s numbers for “Today” are more impressive when one takes into consideration that “GMA” usually over-performs in the ratings on Tuesdays and Wednesdays because people tune in for “Dancing With The Stars (DWTS)” storylines. The highly-popular “DWTS” airs on Monday and Tuesday nights, which gives “GMA” a thumb on the scale on those mornings, something which Palin more than offset for NBC. Nielsen’s final numbers will be released later today.